Residents in the UAE will soon have to watch how much energy they consume as their electricity and water bills will be subject to the value added tax (VAT) being introduced from next year. Starting from January 1, 2018, water and electricity bills in the UAE will be subject to five per cent VAT. 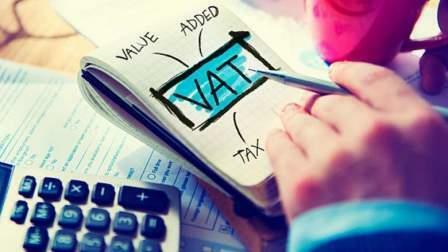 According to estimates, VAT is set to raise the cost of living by about 2.5 per cent. According to the executive regulations, which have been approved by the UAE Cabinet, water and electricity are considered supplied goods. "A supply of water and all forms of energy including electricity and gas. whether used for lighting, or heating, or cooling, or air conditioning or any other purposes," the official article under 'supplies of goods' states. Many experts note that the announcement is not out of the blue as several countries with consumption taxes have a segment on energy and utilities services. Girish Chand, director, MCA Management Consultants, said that both Saudi and the UAE authorities have brought these categories under the VAT. "It has been clear that when we talk about power and water, there's no specific exemption or zero rating," said Julie Bronzi, a senior VAT manager at PricewaterhouseCoopers (PwC). As part of the GCC-wide agreement, the UAE and Saudi Arabia will be the first countries to implement VAT while the other countries will follow.